The state’s highest criminal appeals court has driven another nail in the coffin of the Intoxilyzer 8000 breathalyzer used in Oklahoma driving under the influence cases. Unfortunately, this robocop machine might be counted among the undead. Here is why. The Oklahoma Court of Criminal Appeals on Sept. 11, 2014 ruled in a manslaughter case that the maintenance procedure police agencies use for Intoxilyzer 8000 breathalyzer machines is legally insufficient. The ruling could and should make results from the widely used breathalyzer inadmissible in Oklahoma DUI cases. Unfortunately, it is the habit of the Oklahoma criminal appeals court to render unpublished decisions in cases where their ruling could benefit defendants. The court rendered the Intoxilyzer 8000 finding as an unpublished decision. Rulings that are not published have substantially less value as precedent. Whereas published decisions are considered black letter law, unpublished decisions are not binding on other courts. Nonetheless, a finding by the state’s highest criminal appeals court that Intoxilyzer 8000 results are inadmissible in one case will likely mean they are inadmissible in any case – until the State comes up with a legally valid maintenance procedure. Whether the state can produce a legally sufficient procedure remains to be seen. The breathalyzer machine’s manufacturer refuses to disclose how the machine is programmed. The manufacturer calibrates the breathalyzer, then promises local law enforcement agencies the device they sold them is reliable. It is not just that the breathalyzer is calibrated in secret by a private company whose sales to police agencies could improve if the device gives police the results they want. Whatever maintenance procedures are used – even secret, proprietary calibrations – must be approved by the Oklahoma Board of Tests for Alcohol and Drug Influence. The board has not approved maintenance procedures for the Intoxilyzer 8000. “Because there is no record of written maintenance procedures on the Intoxilyzer 8000 available for public inspection, we find that the procedures either do not exist or are null, void and unenforceable,” the Oklahoma Court of Appeals concluded in Gier vs. Oklahoma. That means the results of breathalyzer tests conducted on the Intoxilyzer 8000 are inadmissible. End of story. Full stop. Case dismissed. Wait. Not so much. The court let Gier’s conviction stand – along with his 20-year prison sentence. Two police officers had testified Gier “smelled like alcohol” after the fatal collision for which he was charged. He displayed all the indicators of intoxication in a horizontal gaze nystagmus test and most of the indicators during a walk-and-turn test. Police said he did not understand instructions and was slow to respond to investigating officers. Never mind that he could have been stunned because he had just been in a car accident serious enough to kill someone. The appeals court decided a jury would have found Gier guilty all the same based on the testimony of police officers,. The court refused to hand the case back to an Oklahoma jury to find out what Gier’s peers would decide without the breath test results. If police testimony were always all that was needed for driving under the influence convictions, the board of testing would have no need to promulgate maintenance rules for the secretly calibrated Intoxilyzer 8000. Nor would police agencies have a reason to dust off their mothballed Intoxilyzer 5000 machines, for which calibration and maintenance rules are in place. Police officers’ subjective opinions about eye movements or nervous drivers’ performance of roadside choreography instructions provide a poor basis for judgments that can cost drivers thousands of dollars and potentially decades in prison. Juries often agree. That’s why states use scientific testing such as breathalyzer tests. The demise of breathalyzer testing – if only temporary – does not mean the end of scientific testing in Oklahoma DUI cases. Police in some DUI cases have strapped motorists to gurneys to draw blood as evidence. Or, they ask drivers to provide blood. Sometimes police persuade drivers to admit in verbal statements that they were drunk. 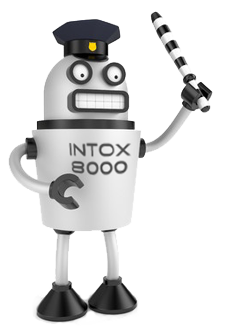 For now, however, the Intoxilyzer 8000 remains a likely outcast in Oklahoma DUI law. Earlier this year, the state’s other appeals court – the Oklahoma Supreme Court – also concluded current procedures for assuring the reliability of the Intoxilyzer 8000 were insufficient. The civil appeals court hears cases related to drivers license revocation after drivers are charged with DUI. The Oklahoma Supreme Court decided in Muratore v. State ex rel. Dept. of Public Safety, 2014 OK 3 that a Certificate of Calibration created by the manufacturer CMI, Inc., and a Certificate of Analysis created by ILMP Specialty Gases, a supplier of the gas canisters used in test procedures, were inadmissible hearsay. In the Oklahoma Supreme Court case, the court affirmed a trial court’s decision that a police officer’s testimony along with Intoxilyzer 8000 results was insufficient to support administrative revocation of a driver’s license. Are Breathalyzer Results Valid in Oklahoma? One might wonder, is the Intoxilyzer 8000 dead in Oklahoma or not? In 2013, an Ohio court found the machine was not reliable. Radio signals could alter test results, operators could tell drivers to continue blowing until the device eventually says they are drunk, or the device could mistake alcohol in the mouth as metabolized breath alcohol. Oklahoma courts or lawmakers could decide those flaws do not matter. Lawmakers could adopt a measure that simply gives the robocop breathalyzer authority to decide whether drivers are drunk, and not require anybody in Oklahoma to check the robocop devices’ accuracy. The board of testing could likewise promulgate a rule saying the hearsay about maintenance and calibration from the company that sells the machines is good enough. Oklahoma courts might or might not approve such legislative or administrative fixes for the faulty foundation that currently underpins breathalyzer evidence. Lawmakers cannot simply abrogate constitutionally protected due process rights. In the mean time, anyone in Oklahoma who has been charged but not yet convicted of DUI based on Intoxilyzer 8000 results might want to check in with an Oklahoma DUI attorney who keeps up with decisions related to the breathalyzer. If you have been charged with DUI, or recently convicted of DUI and prosecutors rely on breathalyzer results for evidence, contact a Wirth Law Office Tulsa DUI attorney at (918) 879-1681. You may also send the Tulsa driving under the influence lawyer your question using the form at the top of this page.